Our email database of logistics managers and executives is the best way to get in touch with the people who store, manage, and distribute a huge array of goods and materials. Connect with powerful people easily and email leads within the world of logistics today. 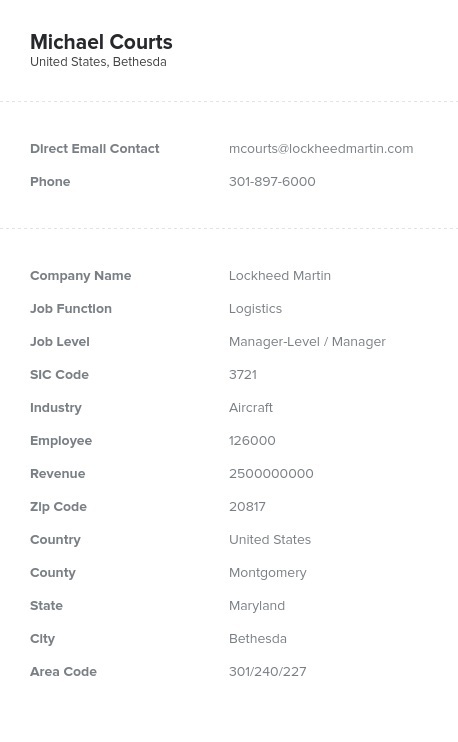 This logistics email list from Bookyourdata.com can help you reach higher up in the supply chain and find the people in charge of coordinating vast arrays of goods, raw materials, and products in a manufacturing and shipping setting. Overseeing the transportation and storage of goods on a grand scale, senior logistics professionals are people who take organization and management very seriously. Let them know how your brand can help them reduce waste and tightly manage their company's products. With our logistics manager mailing list, you can email leads who would be most interested in your products and who would have the power to make many different decisions and changes, from choosing a trucking service to picking out inventory management software. Our business database also contains those higher in the hierarchy, like vice presidents of logistics and chief logistics officers, who would often have the power to make sudden, sweeping changes. With our ready-made email list of logistics executives, you have sudden access to form real B2B relationships on a new scale. In minutes, you can find logistics directors' email addresses, phone numbers, postal addresses, real names, company information, and more! After downloading this product and emailing the logistics leads listed there, you may even find yourself talking to a VP of logistics. Email lists from Bookyourdata.com can simply help you connect. Buy this database today!